State of the art radio technology - TRAPMASTER trap alert / trap alarm / monitoring system - the ideal retrofit for most trap types. Status and alarm messages or calls must reach you securely at any time. In addition to sophisticated software, TRAPMASTER uses a quad-band GSM chip, which reliably covers all national and most international networks. 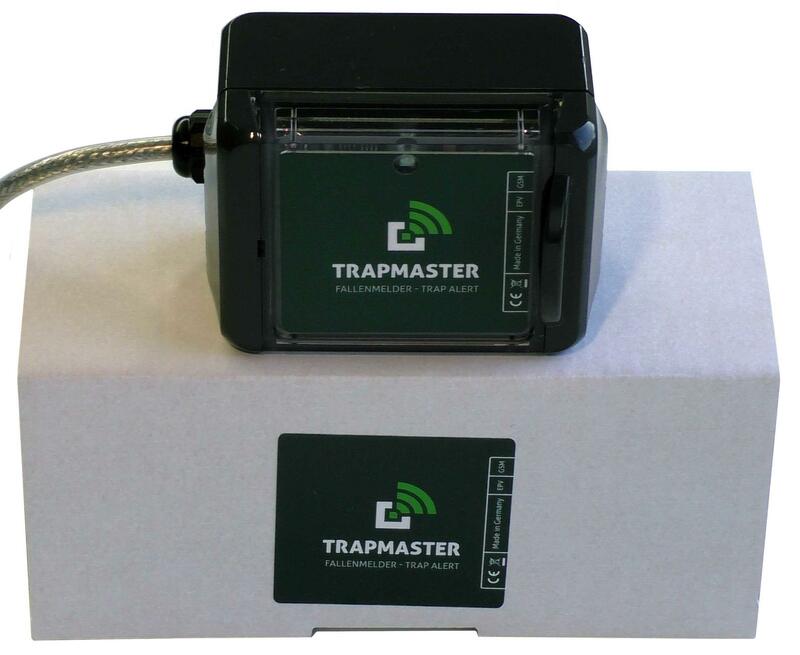 The TRAPMASTER trap alert system has a powerful and precisely tuned internal antenna, but can also be supplied with an external antenna. This can be useful if you operate the device for theft protection in a metal box or if you have very poor reception at the position of the trap. The possibility to position the external antenna in a higher position often leads to better reception.